A Lot Of Charm For This 1900'S Bourgeoise House. From the bay of Morlaix to the bay of Concarneau, 1.5 kilometers of exceptional coastline surround Finistère. From there, capes, bays, peninsulas and archipelagos stretch out as far as the eye can see. As far as charm goes, the inland areas are not to be outdone. The Monts d'Arrée and the granite from Huelgoat are the heart of Brittany where strong traditions, religion and legends live side by side. Property in Finistère remain affordable even if houses for sale on the coast are more expensive than in the back country. 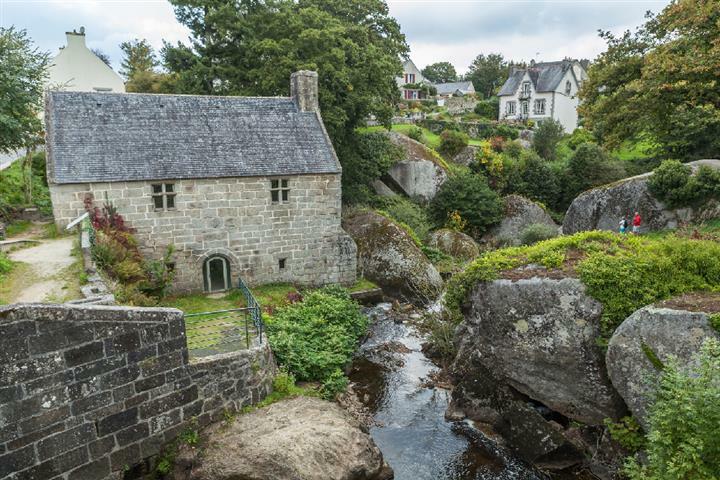 So you have the choice: buy a fisherman's house in Camaret, an apartment in a street in Quimper old town, or an old building to renovate near the forest of Huelgoat, home of the Arthurian legends.